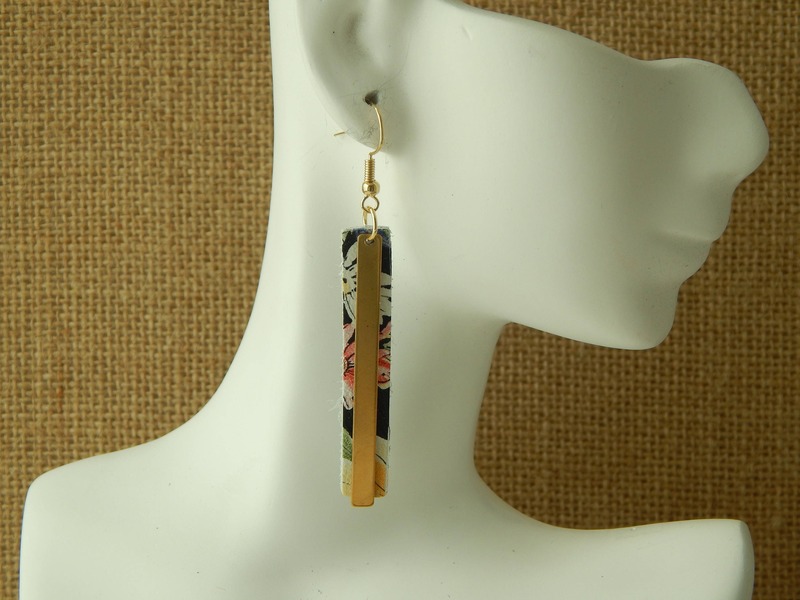 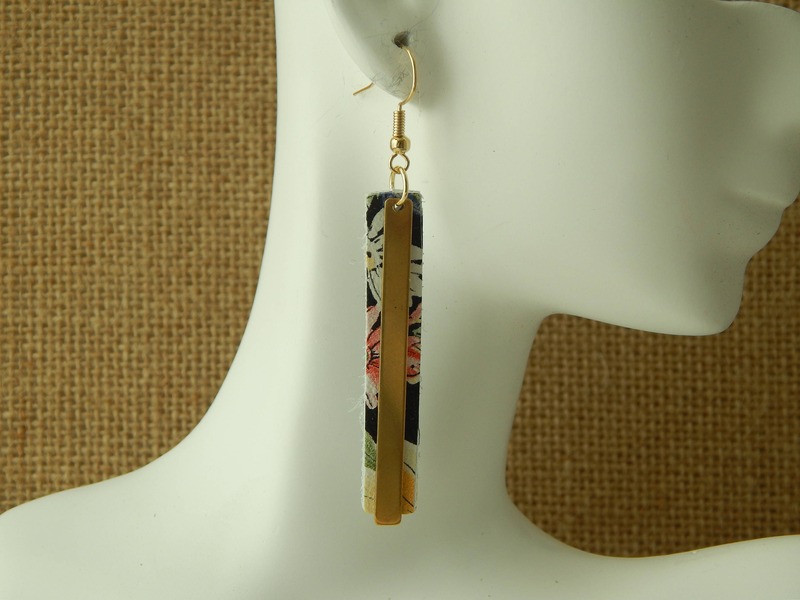 Long black leather floral earrings with a brass bar accent. 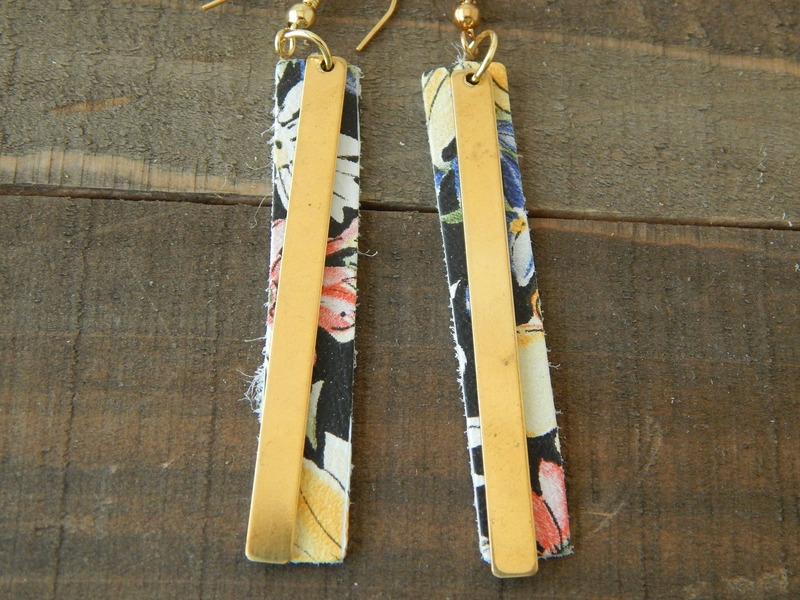 The colorful leather will easily match any outfit and the brass bar adds just the right touch of elegance. 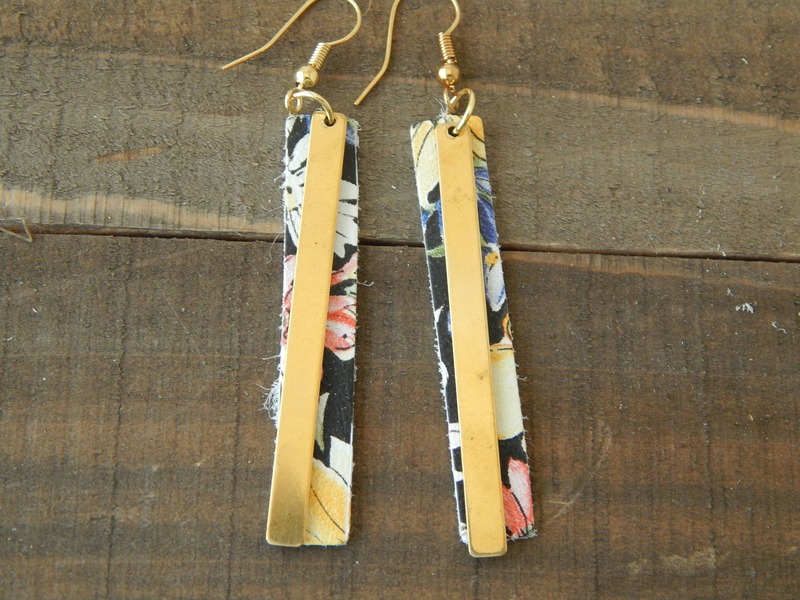 Super light weight and comfortable to wear everyday.